The Senate Leader, Ahmed Lawan, on Friday hinted that the Senate President, Bukola Saraki won’t be impeached. Lawan said all parties in the Senate will work together in the interest of Nigerians. The All Progressives Congress, APC, had been at loggerheads with Saraki following his defection to the Peoples Democratic Party, PDP. Following his defection, APC’s National Chairman, Adams Oshiomhole had vowed to ensure that Saraki was impeached as Senate President. But, speaking with State House correspondents at the Presidential Villa, Abuja, Lawan stated that national interest was more important than any personal ineterst for now. 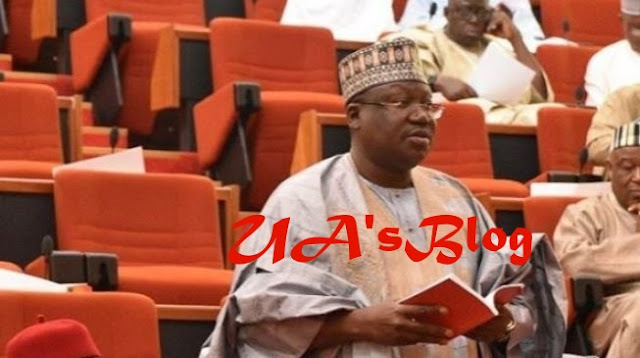 According to Lawan, “I don’t know what informed your view to anticipate crisis but let me tell you that NASS will continue to remain focused on national issues; we must be patriotic, nationalistic, we must put national interest above individual, parochial or partisan interest. “We definitely have to bury our hatchets for us to work for Nigeria and Nigerians; perhaps that might have informed the disappointment of many people that there will be crisis in the National Assembly. “Let me also say that disagreements are usual, in fact, they are very practical components of any parliament, when you have 2 to 3 parties or even within parties you will have views that may differ. “The National Assembly is a Nigerian parliament and therefore the best thing to do is to ensure that Nigerians gets a good deal and for now the good deal is for Nigeria to have all those pending requests of Mr President approved by the National Assembly.